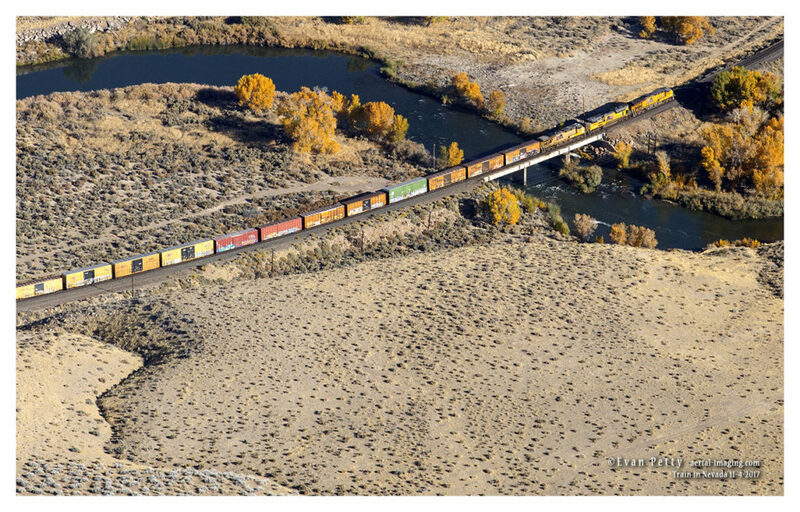 Here is an aerial shot from last week of a train going over a bridge along the Truckee River. I followed the train by airplane for about 10 minutes before heading on. I liked the yellow trees and the yellow rail cars together in this shot.